The greatest revival of the church and its aftermath. Historically, scholars use the term “Reformation” to refer to the western European movement focusing in on major ecclesiastical figures such as Martin Luther, John Calvin and Ulrich Zwingli. The term can be used in a number of senses and may refer to four possible scenarios during this era: the Lutheran Reformation surrounding Martin Luther; the Reformed Reformation (or Calvinistic Reformation) surrounding John Calvin, the Radical Reformation which involved the sectarian Anabaptists, and the Counter Reformation which was a reaction by the Roman Catholic Church against Protestant teachings. Until about 1525, the Reformation may be considered a Germanic movement surrounding the work of Martin Luther. In the early 1520’s the Swiss movement began and Zwingli began to lead the Reformed church to biblical solidarity. Later, as a second-generation reformer, John Calvin would establish Geneva as a Reformed community par excellance. The Reformation was not the result of one theme emerging from one place. It was a heterogeneous movement that was exceedingly complex, but controlled carefully and precisely by the providence of God all over Europe at the same time. The phrase “magisterial reformation” refers to the mainstream reformers, and how they interacted with both religious and social issues of the day. It is particularly used of the theology surrounding Martin Luther (not the after affect of Phillip Melancthon) and the theology of John Calvin and the Reformed church. The term evangelical is also used of the Protestants at this time and was coined to deem those who held to contrary teachings of the Catholic Church following Reformed doctrine. The word “Protestant” was a derivative of the Diet of Spires (February 1529) which voted to end Lutheranism in Germany. Six German princes and fourteen cities protested against this and the church ultimately gained the Augsburg Confession as a result. However, the term meant “protesting” against this theological ban. The Lutheran Reformation took place mainly around the Germanic territories. Martin Luther (c. 1483-1546), German born, was educated at the University of Erfurt, initially studying within the faculty of arts and the law. Through a personal confrontation with superstition that culminated in an event that changed his life (but providentially guided him) he entered the monastery and became an Augustinian monk. He gained the appointment of professor of theology at Wittenberg in 1512 and lectured on the Psalms, Romans, Galatians and Hebrews. During this period Luther’s theology moved through various theological shifts until he discovered the doctrine of justification by faith. Luther first came to public attention in 1517 when he pinned the 95 Theses to the door at the Wittenberg church. This was in opposition to the theory of indulgences which the Catholic church taught, and was peddled ferociously by Tetzel. Luther’s fame does not rest on any one work in particular, but rather through a compilation of works that amounted to battling controversial and doctrinally incorrect suppositions of the Roman Catholic church. He wrote the Babylonian Captivity of the Church that argued that the church had become institutionalized and that the gospel had become captive to the church. Later he wrote The Liberty of the Christian that expressed the doctrine of justification by faith alone. The Diet of Worms condemned Luther in 1521 as being a heretic, but he was taken away by his friends to a castle in Wartburg to escape the death penalty for his views. In solitude, there he translated the Bible into German, and later emerged to confront the mishaps of his former colleagues who had become infected with Anabaptist teachings at Wittenberg. He confronted Carlstadt and ejected him out of the pulpit he had taken over in Luther’s absence, and was banished from the city. Luther regained his work as teacher and pastor of the Wittenberg church and university, and gave himself over, for the rest of his life, to the reform of the church and society. His successor, Philip Melancthon (c. 1497-1560) was a noted Lutheran theologian who was a close personal friend and associate of Martin Luther. He was responsible for the systematization of Lutheran doctrine, particularly through his Loci Communes (the first edition was published in 1521) and his Apology for the Augsburg Confession. Unfortunately, Melancthon took Lutheranism away from many of the teachings of Luther and tended to become more Semi-Pelagianism in his later years. 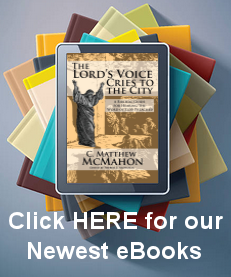 The Lutherans thereafter, did not follow Luther’s theological stance, but Melancthon’s. The origins of the Calvinistic Reformation, which brought about the Reformed Presbyterians, lie in the developments with the Swiss confederations. The Reformed movement first came about, not by academia, but by trying to reform the morals of the wayward church in Zurich, Berne and Basal. The consolidation of the Reformed church began after the death of Ulrich Zwingli (1531) with the stabilization of the church in Zurich, and with the emergence of John Calvin in Geneva. Zwingli is best known for his position against Martin Luther’s consubstantiation. Zwingli taught that the sacrament of the Lord’s supper was merely a memorial service and has no mystical meaning at all. After Zwingli’s death in battle there came about a gradual shift of power. It moved from the Roman Catholic Church to the Swiss Reformed church and continued from 1520-1560. It was epitomized in the foundation of the Genevan Academy that John Calvin began and Theodore Beza continued. The term “Calvinism” is often used to refer to the doctrines of grace in contemporary circles. This is misnomer. A Calvinist is one who follows the Religious Teachings of the Reformed Church, exemplified in Reformed Theology. This theological view is clearly seen in the Institutes of the Christian Religion by John Calvin (the most widely read Reformed document besides the Bible ever read), and other documents such as the Heidelberg Catechism and the Westminster Confession of Faith penned later on following both Calvin and Francis Turretin. John Calvin (c. 1509-1564) was educated in the scholastic tradition at the University of Paris, then moved on to the University of Orleans where he studied civil law. After his conversion, he saw the need for a clear teaching for the basic ideas of the Christian faith, and at that time, evangelical theology. In 1536 he publish the first edition of the Institutes of the Christian Religion. By its final edition in 1559, it had eighty chapters and was divided into four books. After winding up his affairs over the death of his father in Noyon, his birthplace, Calvin decided to settle down to write. On his way back home Guillermo Farel stopped him during a visit at Geneva, and incited him to work there. Calvin agreed to Farel’s coercion, and began a difficult time of reformation for the city. His doctrinal reforms met with intense resistance and he, along with Farel and another preacher named Corrault, were ejected from the city for not administering the sacrament of the Lord’s Supper to those who had dubious professions of Christianity. He left and went to Strasbourg at the request of Wolfgang Capito to write. This he did for three years, placing final touches on the Institutes, and then wrote vigorously against Cardinal Sadoletto in attempting to infiltrate Geneva in his absence. Geneva saw their mistake and the need they had for Calvin, and invite him and Farel back. Calvin went reluctantly but God blessed his efforts and created one of the greatest Reformed cities ever established over the next few years of hard work and prayer. Though scholars use the term “reformation” for this period in history, it is more of a negative term overall in relationship to the disruption of the term for the Reformed Church by the Anabaptists of the day. The term “Anabaptism” literally mean “rebaptizer” though some Anabaptists did not like the term believing that their administration of baptism was the first, not a rebaptizing. Anabaptists believed that only those with a profession of faith may be baptized. It first arose around Zurich in the early 1520’s. It centered on a group lead by Conrad Grebel who argued that Zwingli was not being faithful to his own reforming principles. Zwingli preached “Sola Scriptura” but Grebel (who really believed in Solo Scriptura) thought Zwingli was not holding to this since he taught infant baptism. In the hands of such radicals as Grebel and his followers, the Radical Reformation with emphasis on a reinterpretation of Sola Scriptura to Solo Scriptura, took place. Luther, Zwingli and Calvin (including all others of the Reformed faith) wrote vigorously against them. Calvin, in book 4 of the Institutes, has a large section dedicated to their refutation of church government and of infant baptism. The Counter Reformation of the Catholic Church took place surrounding the meeting of the Council of Trent that desired to eradicate the theological positions of the Reformed church and of Martin Luther. This is deemed as the “Counter Reformation” and a type of Reformation for the Catholic Church spiraling down into a deeper darkness by anathematizing many major tenants of the Gospel, such as justification by faith alone. They not only establish Catholic dogma, but also founded other groups, such as the Jesuits. It should be noted that the Reformation was not initially intended to overthrow the Catholic Church, but rather, to reform it. They did not desire to overthrow the tradition of the church, and wanted to retrace steps back to what the church had always historically believed since its inception. However, no one was to believe anything that the Scriptures did not teach, or that tradition based on Scripture would uphold. People were not only to uphold the Bible, and all accepted Christian truths, but they were also encouraged to seek the truth of the Bible for themselves. One prominent set of doctrines that reemerged at this time were the doctrines of grace. Where does a person find grace? Where does this grace come from? These were pressing questions for the laity, and important to expound by the Reformers. Grace came by faith (Sola fide) that disrupted the Roman Catholic authoritative structure in binding men to believe things that were not Scripturally proven. So also the doctrine of the sacraments moving from transubstantiation to the commonly and widely held Reformed view emerged. And the priesthood of all believers was also an important theme to be rediscovered and implemented by the reformers. This taught that every Christian was not dependent on the sacerdotalism of the Roman See. Rather, each Christian had the ability to meet with Christ without the use of a “priestly blessing”. Christ was in heaven already mediating on behalf of all believers. Protestant orthodoxy following the Reformation argued against Lutheran influences (not Luther himself but deviation of his teaching that were proposed after his death) as well as Catholic influences. Calvin was more interested in setting down practical doctrine than discussing methods or philology. The Institutes, in this way, may be seen as biblical theology rather than a systematic Theology (which would come later under Francis Turretin). Roman Catholicism, on the other hand and opposite extreme, wanted to resettle the norms that had always been present for them since Pope Innocent III. The slogan semper eadem (always the same) was the Catholic banner. One of the most important developments after the Reformation was Post Reformation Dogmatics under the guise of the puritans who arose powerfully in England, Ireland and Scotland, as well as Dutch countries and then later by separatist Pilgrims in colonial America. William Perkins (1558-1602), William Ames (1576-1633) and John Owen (1618-1683) are of worthy notations for this period. Puritanism sought to combine biblical exegesis within a method of systematic theology and Ramean logic to set forth Christian truth. This was epitomized in the teachings of the Westminster Confession of Faith and the Westminster Standards. The Scottish Presbyterians were highly influential at attaining not only a helpful covenant among the nations to Reformed Theology, but also to aid in the formation of a foundational church modeled after the early church. The Solemn League and Covenant was formed to bind the Reformed together in England, Ireland and Scotland to mimic what was already being practiced throughout Europe. Then, the Confession acted as a common confession of faith for them all which solidified systematic theology into a shorter and larger catechism, as well as a short 30 page booklet of accepted Christian truth over adverse sects attempting to standardize their own claims to truth. During the late sixteenth century James Arminius (1560-1609) emerged to cause division in the Christian church by a resurgence of Pelagian doctrine. His followers, known as the Remonstrance, set forth five doctrines that were diametrically opposed to the current teaching of the Reformed church. In opposition to those doctrines, the Prince of the Netherlands called together a council in which ministers and theologians examined the teachings of the Remonstrance and found them as “pestilential errors” to be banished from the country. This Synod took place in Dordt (the council was known as the Synod of Dordt) and formulated the five points of the doctrines of grace formally known as TULIP (Total Depravity, Unconditional Election, Limited Atonement, Irresistible Grace and Perseverance of the Saints). After this time further sectarians also arose, and among them were the Pietists following Nikolas Ludwig Graf von Zinzendorf (1700-1760). Zinzendorf believed he was escaping from the arid rationalism and barren orthodoxy of his time to stress a “religion of the heart.” Though his was a misguided notion, he attempted to bring the practical aspects of “a living faith” to the forefront. After Zinzendorf John Wesley emerged being profoundly influenced by the Moravian brethren, and later by eminent Calvinistic (but Anglican) open-air preacher George Whitefield, to continue the Methodist movement, but held ferociously to Arminian theology. He stressed the active faith that every believer should exercise on his own and the personal holiness that should attain. Central to the Theology of the Reformation was the Bible, and what constituted Scripture. The term “canon” (Greek for “rule”) came to be used to refer to those Scriptures recognized as authentic by the church. From the fifth century until the Reformation the accepted Bible was Jerome’s Latin Vulgate. However, a movement to go back to the sources (ad fontes) pressed the need to study the actual documents themselves and not a copy of them. The Reformers rejected the Apocrypha as Scripture and did not accept it into the canon of the Bible. On the other hand, the Roman Catholic Church did accept it. It is, upon scrutiny, self-contradictory not only of its own information, but also of the information accepted in the actual canon of the Bible. Augustine and the early church fathers received the Apocrypha as a book that held certain merits and aid in historical information, but they never did receive it as actual Scripture. The Council of Trent (in 1546) accepted the Apocrypha as Scripture because it held certain “references” to ideas contrary and opposed to the reformation (such as purgatory). Authority to teach and preach the Word of God was to come from ordained men who were ordained by the church. The break that the Reformers made with the Catholic Church, if they had been incorrect in their understanding of the Gospel, would have rendered them unordained and unable to administer the sacraments or to preach. This was the great argument of the Catholic Church to their authority since the Reformers were breaking away from the Apostolic line. However, once a church corrupts the gospel, and it is recovered by faithful expositors of the Word, that church becomes apostate, and the regained ground on the Word of God is the successive line. That is why Calvin argued so vehemently that the church is found wherever the sacraments are rightly administered and the Word of God is faithfully preached. It was a specific reaction against the Catholic arguments for schism. Other schismatics who overruled authority altogether (such as the Anabaptists and Independents) attempted to plant sectaries that promoted their own government and own brand of church authority. This, though, was a formal schism to the church, and this is not the same as the Catholic argument against the Reformers. Tradition also played a large part in church doctrine. Catholicism taught that there was a secret Tradition handed down from the apostles through the church that the Pope could execute by speaking from the chair with authority (ex cathedra). This was binding upon all people in matters of faith and practice only. However, the Reformers did not accept this secret tradition and only propagated the Scriptures and the tradition of the church. For the Reformers, this tradition (little “t”) was the accepted Christian truth of the church. For example, the Apostles Creed is found nowhere in the Bible, but the truths that stand behind the word that comprise the creed are found in the Bible. This is the tradition that the reformers propagated. As stated earlier in the church, this was the rule of faith (or regula fide) that all Christians were to hold. To say “Christ is the Lord of heaven and earth” is a true statement, and part of the regula fide, though it is not a text taken from the Bible. It is received as truth because the Bible teaches that God made Christ ruler of heaven and earth, and the Bible bears that out. There is a cohesion between the testimony of the Word that is believed, and the actual words of Scripture themselves. Sola Scriptura does not rely “on the Bible alone” but also on the accepted Christian truths that God has so filtered through the church through able exegetes through the centuries. Oftentimes, Christian have an incorrect idea about Sola Scriptura as if it meant “me and my Bible alone.” However, once the Christian begins to testify of the truths of the Bible, then they are testifying of the regula fide and of accepted truth. To escape “tradition” (little “t”) is impossible. The reason so many Christians often reject Sola Scriptura for Solo Scriptura is that they are part of a schismatic group implementing their own agenda. Traditions in the church have been labeled well by Heiko Oberman who rates them in the following way: Tradition 0: The Anabaptist idea. Tradition 1: The Protestant Idea. Tradition 2: The Roman Catholic idea. Tradition in the Roman Church was a separate and distinct source of authority and revelation in addition to Scripture. That is Tradition 2 (capital “T”). Tradition 1 is the Protestant idea that states that there is a single source theory of doctrine, and that “tradition” refers to the “common manner in interpreting Scripture” through the ages as a Christian church and body. Tradition 0 is the Anabaptist and Independent idea which rejects tradition, and in effect, places the private judgment of the individual or congregation in the present above the corporate traditional judgment of the Christian church concerning the interpretation of Scripture. Tradition 1 is the Reformed consensus. The Catholic Church, during the Counter Reformation, affirmed at Trent the two-source theory upholding their belief that in addition to Scripture, there was a secret oral tradition handed down by the apostles to the church. They stated that tradition was a vital supplement to the Scripture, that the canonical line of Protestant books of the Bible was deficient excluding the Apocrypha, that the Vulgate was authoritative, and that the authority of the Church to interpret Scripture was in opposition to the ability of the reformers who were “breaking away” from the church toward “individualistic” ideas. It is necessary to understand that the belief of Justification by faith was critical to the Reformation movement. The term “justify” can mean “coming into a right relationship with God” as opposed to the wrong relationship all men are born into. Justification had specifically to do with what had to be done for men to come into a right relationship with God. Thus the question surrounded salvation. The righteousness of God (of Christ) is imputed to every believer who, by regeneration and faith, believed the Good News of the Gospel. At first, Martin Luther believed that salvation was something men did in attempting to earn God’s favor. Later, God aided him in realizing that the righteousness of God is only available to men when God dispenses it to them through faith. Faith has a personal, rather than a historical, reference. Faith concerns trust in the promises of God in the Bible. Faith is what unites the believer to Christ. It is not that faith is simply historical knowledge, but that historical knowledge will lead to faith out of a regenerate heart (John 3:1-3). Faith is to be seen as trust (fiducia). It is not believing that there is a ship there that is crossing the ocean, but faith gets on the ship by stepping up to it and entering it to stand upon the deck. Union then exists for those who, by faith, believe the Gospel. Faith is not just assent to true doctrines found in the Bible, rather, it is a living trusting relationship built on the those promises and exercises out of a regenerated heart. Justification then results where God sovereignly declares the sinner made just by imputing to him the righteousness of Christ – the perfect blood sacrifice. Both Christ’s life (active obedience) and his death (passive obedience) are imputed to the believer. By faith men are then made just (Romans 5:1ff). It is this alien righteousness that Luther stood upon (the iustitia aliena). To have this righteousness imputed to them is to reckon it to their account. Thus, after justification, the sinner is simil iustus et peccator (simultaneously just and sinner). The Council of Trent attempted to critique Luther’s teaching on justification in order to set forth a comprehensive response to Luther. In 1545 this took place during the Council and the Tridentine Decree on Justification which comprised 33 canons anathematizing the gospel. At the time, the Council seemed unaware of the threat of John Calvin, but instead, focused on the formulation of the Lutheran doctrine of justification. Trent upheld the following ideas surrounding justification: it is not a one-time act – but a process of becoming holy. Justification is something that can reoccur as the imparted and internal righteousness of Christ would be given upon penance, but lost upon a sinful act. Thirdly, those who are justified cannot claim salvation since the righteousness given at justification could be lost. Fourthly, No one can be assured of salvation as a result of the possibility of losing the righteousness given. Trent called this “ungodly confidence.” Any brief look at the canons of Trent bear this position out. What happens at the Eucharist? Do the wine and bread change? During the Reformation four main theological stances were given. The Roman Catholic Church believed in transubstantiation. Upon the priest’s blessing on the elements, they change into the actual body and blood of Christ. The accidents do not physically change, but Christ is there and they are transformed nonetheless. When one eats the Eucharist, they are ingesting the actual body and blood of the sacrifice of Christ given. This view was formally defined at the Fourth Lateran Council in 1215. Martin Luther set forth consubstantiation which taught that at the same time there was both the bread and the body of Christ present. Not that the bread changed into it, but mystically, Christ was physically present around the elements. Christ was really present at the Eucharist. Ulrich Zwingli believed in memorialism that taught that the Eucharist was simply a memorial to what Christ did. By faith those who are present believe this historical event occurred, and mediate on that fact. John Calvin taught the Reformed view which stated that the sign of the Eucharist is visible, where the thing signified is invisible but present. The connection between the two is so close that it is impossible to distinguish between the two. In a more simpler fashion, the Eucharist is like a cell phone: though someone may be calling the other person and talking with them, it is merely a connection with the physical body of the person through a mediation. The person is present by use of the cell phone, though not physically there, but there in spirit. Christ, through the elements is spiritually present, and the elements act as a connection to his physical body in heaven. Christians then, believe by faith that this occurs, and partake of Christ. Calvin sent his view to Luther, and Luther found it acceptable. Luther out-rightly rejected Zwingli’s view, and upon that one item, the two could never come to a complete agreement on all points of doctrine. Zwingli also rejected Calvin’s view, and Calvin rejected Zwingli’s view. Thus, Calvin and Luther agreed to a great extent, but Luther and Calvin disagreed with Zwingli. The Reformers had two parties to deal with in relation to the doctrine of the Church: the Catholic Church which was a historically based organization, and the Anabaptists who believed that the church was only in heaven and nothing on earth could compare to her. The Reformation against the Catholic Church can be seen, in part, as a reply to the Donatist controversy and how that era should have been handled. According to Rome’s teaching, Luther was a schismatic because he was breaking away from the one true church. Luther himself shared a profound distaste for schism. Even his 95 Theses were not enough for him to break with the Catholic fellowship. In other words, Luther was there to reform the church, not break with the church unless it was the only possible answer. The answer became more complex than he thought. Luther knew the church was corrupt, but he stayed in the church to reform it. Luther stressed the Word of God and the centrality of the Word of God as constituting the true church. The episcopacy offered in the church did not “make the church” otherwise organization alone would be the key. Rather, there had to be functionality and historicity at the same time. The visible church must comprise the proper preaching of the Word, and yet, at the same time, proper preachers to preach the Word. Luther’s understanding of the church was more functional than historical in attempting to regain ground lost by the historical nature of the Catholic Church. It was more important at the time to preach the doctrine of the Apostles than to be successive drawn from them. Luther, then, stressed the preaching of the Word over the succession of apostolic right (something the Pope leaned heavily upon). Then came the Radicals who opposed authority. For them the true church would only come into being at the end of time when Christ returned. At this time Christians are simply witnesses to the truth. Luther, in writing against them, stated that the historicity of the church is important, for who would be preaching the Gospel, and who would be a witness in the world? The institution of the church is the divinely ordained means of grace. However, in arguing in this way, Luther was very aware that he sounded like the Catholic church. The Catholics were arguing for historical continuity. The Anabaptists were arguing for no hierarchy. The middle ground, which the Reformation embraced, was to hold to both a historical institution that carried faithfully, the preaching of the Word. Those who would deny both denied the church. When Calvin appeared on the historical scene, he wrestled vehemently with the teaching on the doctrine of the church. The marks of the true church were that the Word of God was preached, and the sacraments were rightly administered. In his mind this presupposed a church body and an authority structure. There is no division, or need of division, for churches that acknowledge this. If a church were to be extreme to the point of the Roman Church who insisted on its fellowship at the expense of doctrine, then this was overturned. Equally, the Anabaptists were pressing the issue in the other extreme. In this way churches need not schismatize, according to Calvin, but come together. Those who would throw this distinction away were being schismatic and were leaving the church. Later, Theodore Beza (Calvin’s successor) added the discipline of the church as a mark of the true church in order to continue to strengthen the body that remained. Here the distinction (drawn by Calvin) between the visible and invisible church is essential. The visible church is the one church expressed in the world by witness of the preaching of the Word and the sacraments. The invisible church is the group of people from all time who comprise the elect. One of the debates during this time period was the use of natural science in the realm of theology. In May 1543, Nicholas Copernicus’ De revolutionibus orbium coelestium (On the Revolutions of the Heavenly Bodies) was finally published. The book set out a heliocentric model of the universe – that the planets revolved around the sun. The older model was geocentric – that all the heavenly bodies revolved around the earth. This caused theologians to rethink certain passages of the Bible in view of this discovery. Three approaches to interpretation had been present: literal, allegorical and the view of accommodation. John Calvin pressed the need to study science and nature, and thought the Bible was accommodated to the weakness of human beings. This did not override a literal interpretation when relevant, but it was always viewed in a framework of accommodation. Thus, even in science and nature and how that applied to the Bible, there was contention over the allegorical approach which did not seem to fit as well. The official condemnation of the allegorical approach was based on two considerations: 1) Scripture is to be interpreted according to the proper meaning of the word, and 2) the Bible is to be interested according to the common interpretation and understanding of the pastor and teachers already having studyied the Bible. This was the teaching, again, of Sola Scriptura. This was problematic for the Catholic interpretation since it rested on certain Galilean interpretations to overthrow Protestant positions on many doctrines. To then change the Catholic proposition on certain doctrines would concede the Protestants as “correct” on much of what they had been teaching concerning nature and science, and the Roman church did not want to concede this. Fortunately, the Protestant movement continued to accept science and theology as compatible, and later, a few hundred years later, the Catholic Church would change its official doctrine and stance to state that Copernicus was right.